Mobile shopping meets live video with Popshop Live. Shop, Sell, and Watch shows from sellers and hosts you know and love. Discover the breakthrough app for live shopping! Popshop Live merges entertainment, commerce, and live streaming. Popshop Live is a revolutionary mobile live streaming marketplace where up-and-coming brands and creators host their own pop-up shopping channels and sell directly to a global audience. -Search for upcoming live shows featuring products you need right now: from the hottest clothing and accessories to gadgets, collectibles, art, and beauty. -Stay tuned as new shows and sellers are added on a daily basis. -Follow likeminded sellers and subscribe to their streams. -Add upcoming streams to your watch list and tune-in to watch fun live shopping shows by creators, influencers, and sellers from all around the world. -Discover cool products and see them in action before you buy. -Chat during a live show with other viewers who buy the same things you do. -Ask your questions to hosts and sellers live. For shoppers, buying during a live stream is easy and one-touch! -No need to leave the app or stop watching a stream to complete a purchase, it's easy and seamless. -Popshop Live's sellers have all your shopping dreams covered: Find cool, trendy, unique clothing for men and women, vintage and cutting-edge fashion, streetwear, shoes, accessories, jewelry, gadgets, home goods, wellness, beauty, athleisure, art, books, beauty, music, and so much more. 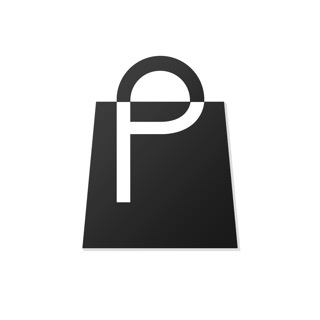 - All in-app purchases are secure and protected to make your shopping experience as convenient and enjoyable as possible. Elevate your shop to a live stream experience. - Start your very own live mobile shopping channel and see what video can do for your store. - Popshop Live gives you all the tools to get set up and start selling fast! - No complicated video editing or lengthy uploads: create your channel in a flash and start getting major visibility for your brand! - Host live streams that showcase your brand's unique personality. - Schedule a show in advance, or host a live broadcast anytime, anywhere, using just your phone. - Have a conversation with your shoppers: answer their questions live or invite a guest to co-host with you. - We take care of the payment and shipping details. Apply now at http://popshoplive.com/sign-up-live-event/ to start selling live! Looking for inspiration? PopShop live's community is made up of some of the worlds coolest and most creative sellers and shoppers. - You can find creators and products that match your style with a simple swipe and tap. - Chat with other users while watching shows. - Follow your favorite sellers and tune in to their upcoming shows. - Watch shopping shows from top influencers and brands. Follow us on for tons of inspo, cool sellers to know, gorgeous photos, and behind-the-scenes exclusives. This app is revolutionizing shopping. The interface is practical and user friendly. If you're looking for a new and fun way to shop this is the app for you! My favorite element is the social aspect to it. You can interact with the vendors on the spot so all your questions can be answered directly from the seller before making the actual purchase. Do yourself a favor and download this app! I'd really love to use this app. It has a clean, inviting look and an easy to use 'swipe left' interface similar to Fancy (or for those not familiar with Fancy, Tinder). Users may post stock photos. There is a follow and like system, tracking for your bought and sold items, and drafts your retail items. It appears that there's an issue, however, with posting the items for sale. It's easy enough to start the process but when I post, the items aren't shown as listed.